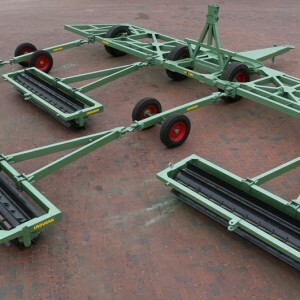 The Erdvark Straight Blade Cutter (Rolmoer) is designed for chopping maize & sunflower stalks. The Straight Blade Cutter can also be used for field preparation, weed control and to make secondary operations very easy by chopping maize stalks and left over material. The Rolling Cutter is a Heavy Duty implement with special bearings & hubs for maintenance free operation. 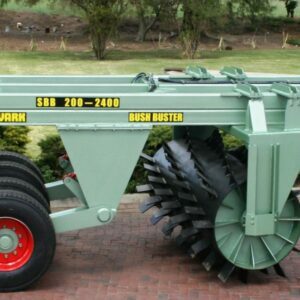 The Erdvark Bush Buster is ideal for land clearing and debushing. The graduating spiral configuration of the Erdvark Bush Buster will give a No-till operation with soil aeration and loosening of pastures. 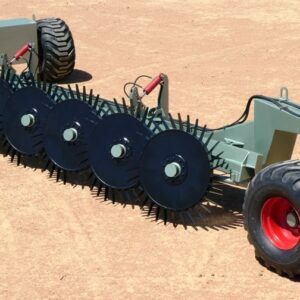 The Erdvark Bush Buster is a must for brush management on cattle and game farms and relieve of soil compaction. Using the Erdvark Bush Buster will increase water retention and reduce run off water. 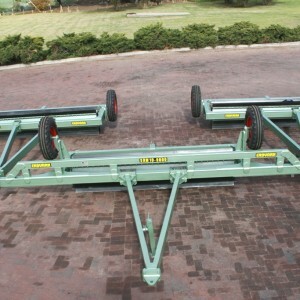 Available in single roller for soil aeration & loosening and twin rollers for Bush Busting and aeration. 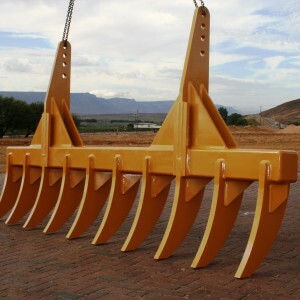 Dual purpose heavy duty Erdvark Bush Rake can rake uprooted trees and vegetation, grass and rocks. The Bush Rake is also ideal for raking blade ploughed land, one to two weeks after blade ploughing, into wind rows for burning or chipping. This implement is also called a “Stick Rake”. Build tough for tuff Africa conditions. 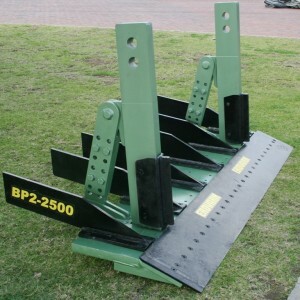 Blade Plough is an ideal attachment for dozer and tractors to do field / land clearing. Vegetation, roots and stumps are pushed to the surface to be cleared by a Bush Rake into wind rows. The advantage of this operation left the land free of any big stumps and roots that can damage smaller sophisticated implements like planters in secondary operations. The Blade Plough penetrates up to 300 mm and left the field / land loose for secondary operations.